Successive Albanian governments have invested heavily in highway improvement and the main inter-city routes are of a reasonable standard. 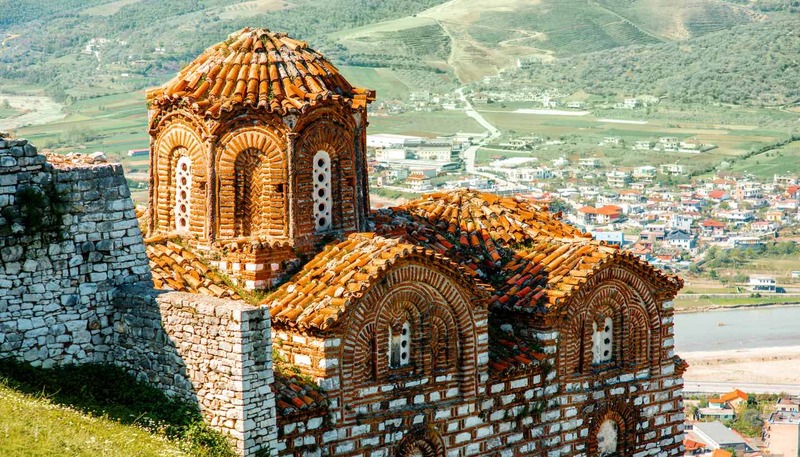 However, Albania is a mountainous country and some towns will be connected by relatively narrow, winding roads for the foreseeable future. 4-wheel drive is not normally required. You can hire cars in Tirana from the usual international companies, although they are expensive compared to northern Europe and North America. It may be cheaper, and is certainly less stressful, to arrange a chauffeur-driven car in advance through one of the Tirana-based travel agencies. Speed limits are generally 40kph (25mph) in towns, 80kph (50mph) outside built-up areas, 90kph (56mph) on major roads and 110kph (68mph) on motorways. An International Driving Permit (technically this should be accompanied with a certified translation) and national driving licence are required. If bringing your own car into Albania, you should ascertain before departure that your insurance is valid there; emergency breakdown cover is also worth considering. Taxis are plentiful and relatively economical for short journeys within city limits. Urban buses are very cheap but usually very crowded. In Tirana, there is a flat fare for any bus journey; within the city centre, taxis also have a flat fare, which you should agree with the driver before setting off. The hub of the national railway network is Durrës. From there, services operate to Tirana, Shkodra, Vlora and Pogradeci. Trains are diesel, infrequent (except between Tirana and Durrësi) and slow. The only internal boat journey is the Komani-Fierza ferry, run by Berisha Ferry (www.komanilakeferry.com).